Sierra Leone's Refugee All Stars started playing music together in West African refugee camps while their homeland was being racked by years of bloody warfare. Since then, they have risen like a phoenix out of the ashes and enflamed the passions of fans across the globe with their uplifting songs of hope, faith and joy. 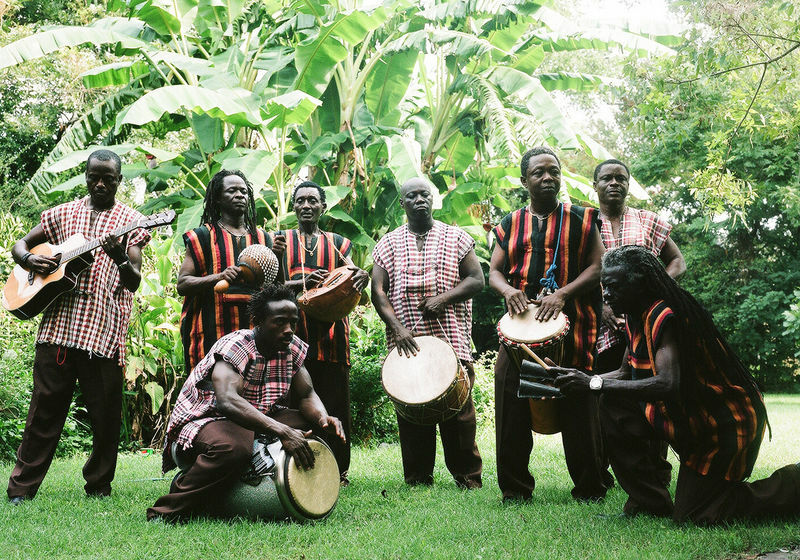 The band members are broadly diverse in age and character, although they possess a strong bond forged through common experiences and values: They all know war and have struggled to survive in one of the world’s poorest countries, and they share an unwavering belief in the transformative power of music. The current lineup of the band was cemented when Reuben M. Koroma, the sage songwriter and guiding light of the group, returned home from the refugee camps, joined by Black Nature, an orphaned teenaged rapper; Mohammed Bangura, who suffered amputation at the hands of rebels; and Francis John Langba. Back in Sierra Leone, they reunited with family, friends and former band mates Ashade Pearce, Jah Son Bull and Makengo Kamara—many of whom they believed not to have survived the violence. The band’s journey—which culminated in the All Stars’ first recording in a studio—was documented in the multi-award winning documentary "Sierra Leone’s Refugee All Stars", by Zach Niles and Banker White. The resulting album, "Living Like A Refugee", garnered the band international acclaim and high profile fans such as Keith Richards, Sir Paul McCartney, Aerosmith, Angelina Jolie and Ice Cube. On their latest album, "Rise & Shine" (released March 2010), the All Stars’ sound, as well as their biography, evolves further; the music finds them “establishing an identity based as much on skill, imagination and charisma as on their undeniably touching story” (The Los Angeles Times). For the follow up to their acclaimed debut, "Living Like a Refugee", the band began recording in their hometown of Freetown, Sierra Leone then traveled to New Orleans, Louisiana to work with the highly accomplished producer Steve Berlin (Los Lobos, Angélique Kidjo, Rickie Lee Jones, Michelle Shocked, Alec Ounsworth, Jackie Greene) at Piety Street Recording. 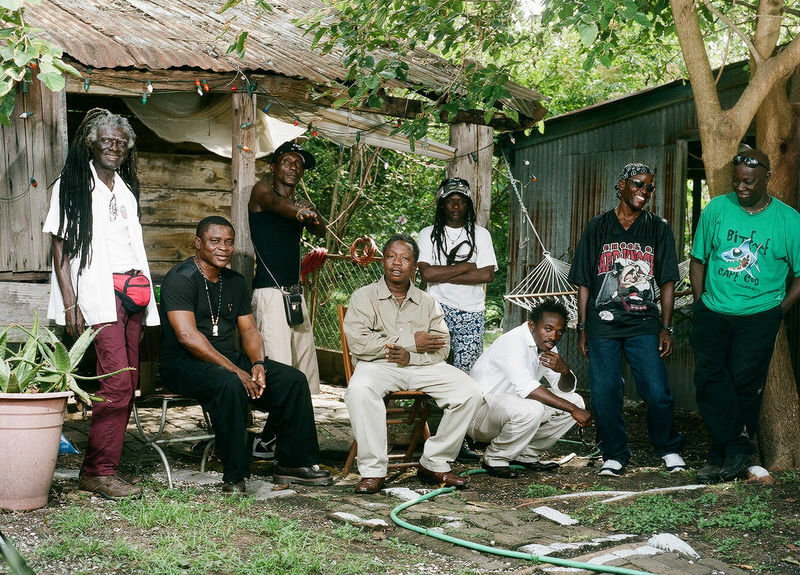 The All Stars immediately felt at home in New Orleans, not only because the hot climate and spicy food reminded them of Africa, but also because the residents of the Crescent City have firsthand experience with the bitterness of exile and the redemptive power of music. The local musicians who contributed to the record—including favorites Troy “Trombone Shorty” Andrews, Bonerama and Washboard Chaz—lend it an infectious spirit of celebration and optimism in the face of struggle. Rise & Shine reflects how far the band has come in the past few years, after multiple international tours and recording experience with the likes of Aerosmith and Mavis Staples. With an expert producer at the helm, Sierra Leone’s Refugee All Stars have realized a unique and seamlessly coherent sound: a fusion of traditional West African music and roots reggae, inflected with New Orleans styles. The album’s 13 tracks embrace the wide array of musical influences the All Stars have encountered on their rise to international fame, but the spirit of the Crescent City permeates this uplifting recording. The follow up album "Rise and Shine" was released March 23 2010. Five tracks taken from the "Rise and Shine" album and remixed by DJ Logic!